It would be a waste to go through life never having enjoyed a good quality Sauternes. They are not currently fashionable (with a few exception like Chateau D’Yquem) and represent great value for money. They are sweet with complex aromas of honey, orange peel, tropical fruits and of course the unmistakable aromas of Botrytis Cinerea (Noble Rot). The appellation of Sauternes is in Bordeaux and climatic conditions here favour noble rot, which in most other regions would be considered a serious pest. Noble rot will attack the grapes and dry out and shrivel the berries concentrating the sugars and flavours. 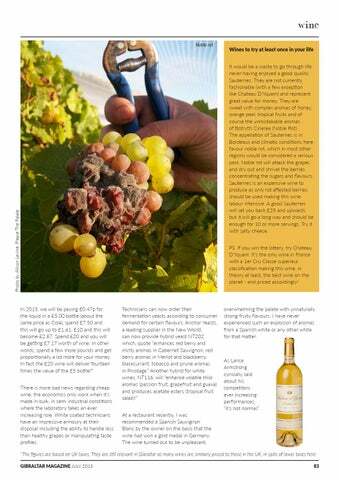 Sauternes is an expensive wine to produce as only rot affected berries should be used making this wine labour intensive. A good Sauternes will set you back £25 and upwards but it will go a long way and should be enough for 10 or more servings. Try it with salty cheese. PS. If you win the lottery, try Chateau D’Yquem. It’s the only wine in France with a 1er Cru Classe superieur classification making this wine, in theory at least, the best wine on the planet - and priced accordingly! In 2015, we will be paying £0.47p for the liquid in a £5.00 bottle (about the same price as Cola), spend £7.50 and this will go up to £1.61, £10 and this will become £2.87. Spend £20 and you will be getting £7.17 worth of wine. In other words, spend a few more pounds and get proportionally a lot more for your money. In fact the £20 wine will deliver fourteen times the value of the £5 bottle! * There is more bad news regarding cheap wine; the economics only work when it’s made in bulk, in semi industrial conditions where the laboratory takes an ever increasing role. White coated technicians have an impressive armoury at their disposal including the ability to handle less than healthy grapes or manipulating taste profiles. overwhelming the palate with unnaturally strong fruity flavours. I have never experienced such an explosion of aromas from a Spanish white or any other white for that matter. 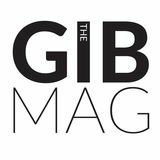 Gibraltar's monthly lifestyle and business magazine.